My payment failed, can I process it again? 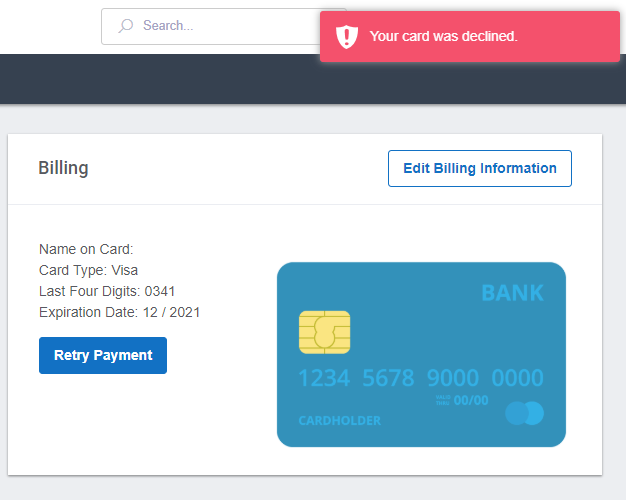 If your payment failed, you can retry the process from within your Billing settings. If your payment method fails for some reason and you need to retry the payment, you can do this by visiting Settings --> Billing and selecting the "Retry Payment" button. Please Note: This button will only appear if we tried to process a payment and it failed. Please reach out to us via chat or by email at support@buddypunch.com if you need any assistance.